A perfect summertime drink that’s great for the whole family. For an adult version, simply add vodka. 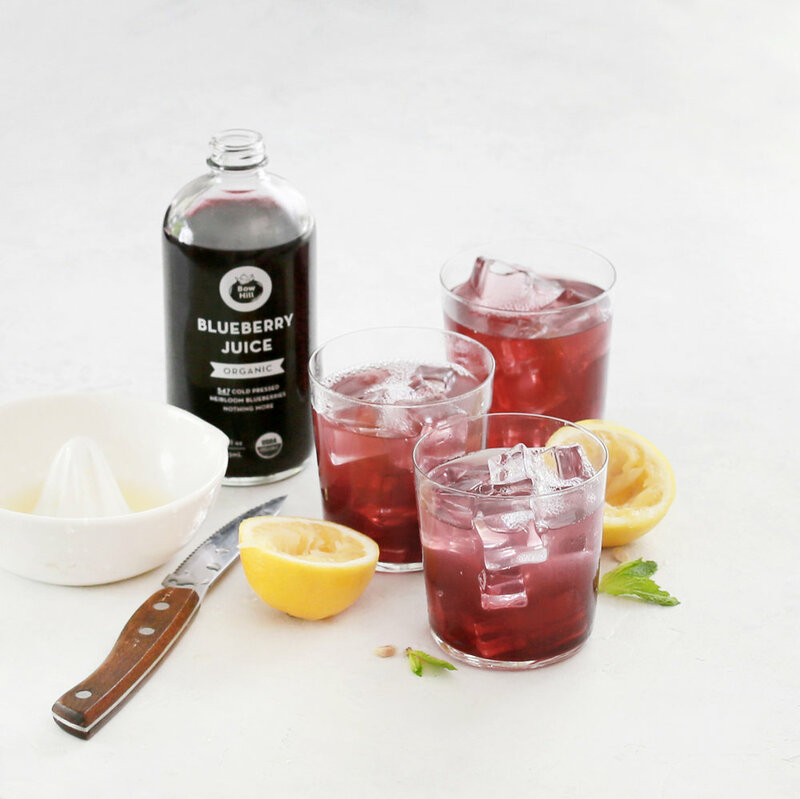 In a glass, add blueberry juice, 1/2 ounce mint simple syrup, and lemon juice. Fill glass with ice. Add club soda and garnish as desired. cook’s note: To make simple syrup, combine 1/2 cup sugar and 1/2 cup water in a saucepan and cook until sugar is dissolved. Add 5 sprigs fresh mint and allow to cool to room temperature. Remove mint, cover, and chill until ready to use. Makes enough for about 12 drinks. editor’s note: If you haven’t tried the products from Bow Hill Blueberries yet, you can still take advantage of 10% OFF your order. Use code THECOASTALTABLE when you check out on their site. Offer expires July 31, 2018 at midnight.